Malcolm Turnbull will meet with the head of Europe’s largest economy in a bid to get the European Union to the table on a huge free trade deal. The prime minister will also meet with UK Prime Minister Theresa May and the heads of the European Union and NATO on his two-week trip overseas. Mr Turnbull will land in London on April 18 for the Commonwealth Heads of Government Meeting, to be formally opened by the Queen and involving more than 50 other world leaders. The conference will address the need for trade, investment and good governance, as well as cyber security issues and oceans. Ms May will host Mr Turnbull for a meeting on Russia, security and Brexit, before he flies to Berlin to meet with Chancellor Angela Merkel. 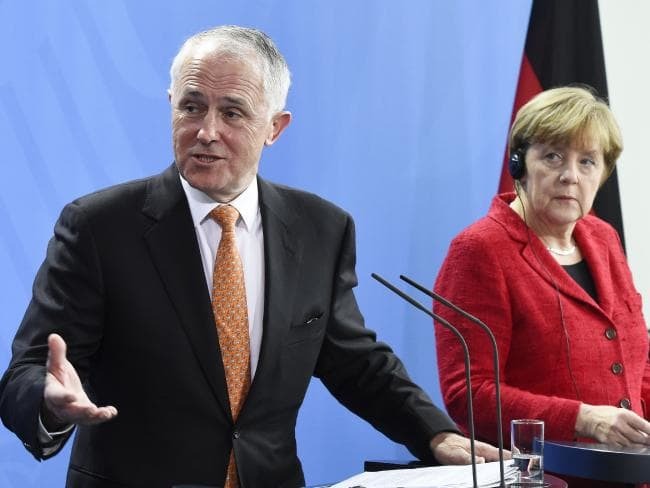 Mr Turnbull is expected to discuss plans for a free trade agreement in that meeting, with Ms Merkel running Europe’s largest economy and a key voice at the EU. The prime minister is also expected to talk to NATO about Russia, and push the free trade agreement with the EU.